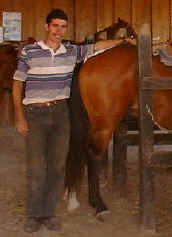 He is the person that makes everybody feel comfortable on the horse, no matter what. His ease and smile carries everybody along on the ride. 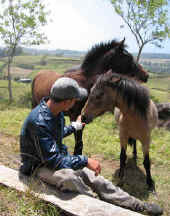 He does not only know how to handle horses in a peaceful way but also people. He cruises along quietly and works to please any time he can. 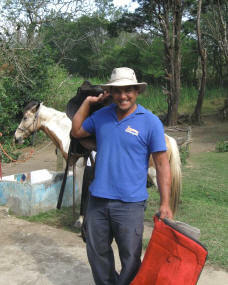 He helps for taking care of my horses, is energetic, very well balanced and knows the touch on the horse naturally. 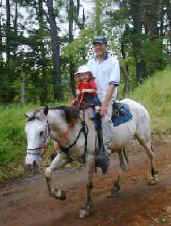 Coming from a horse family and having a soft touch on the horses is equal with his patience with people to make everybody happy on the horse. 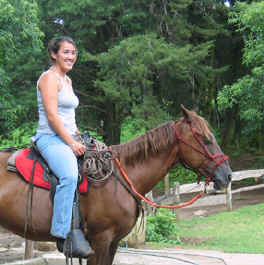 Volunteering at Sabine's Smiling Horses in July and August 2004 - she is one of the pearls you never forget!!! 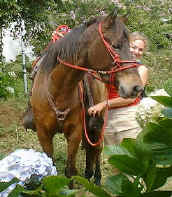 Always knowing where help is needed and truly loving and caring for our place, children and animals. 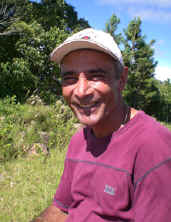 I am very grateful, he helped me build up my horse farm and he did a very good job guiding the people on the trail. 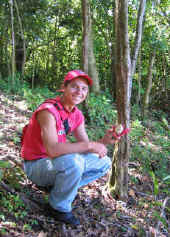 He was the one that was always helpful, always available when we need him, no matter day or time. 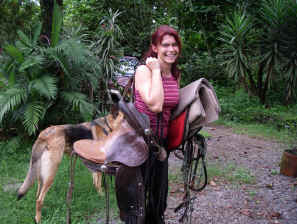 A German woman that stayed in Monteverde and helped me take care of my horses and riders in 2002. 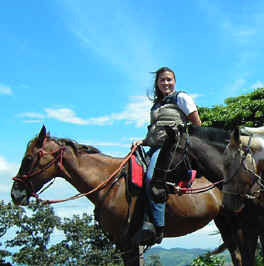 I am very grateful for her help and for always smiling at my requests for my horses. Available on special request for an extra fee.